"I'm just starting to write it, so we'll see what happens." 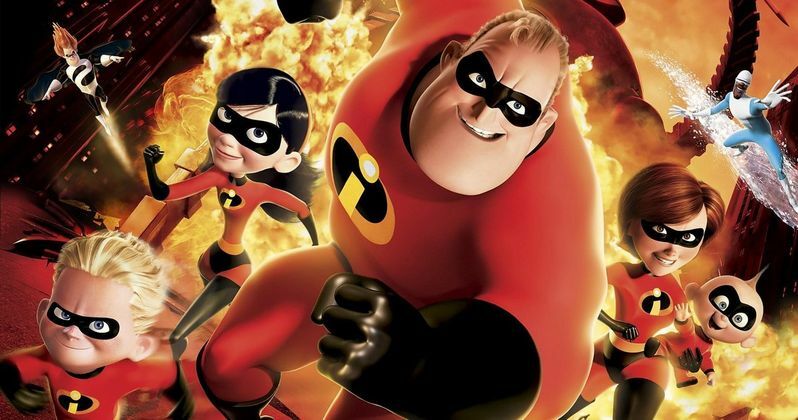 Pixar announced that The Incredibles 2 is in development last year, and like any superhero franchise, the series seems tailor-made for more stories. And it helps that these characters don't age in animation, which isn't to say this family won't grow and learn from their past mistakes. A release date hasn't ever been announced, but its speculated that the film won't hit screens until sometime in 2019, which is still a few years away, giving Brad Bird plenty of time to craft his story. While nothing at all is known about the plot, it is known that Samuel L. Jackson will reprise his role as Frozone. With this sequel, Brad Bird hopes to create a movie that is as impactful and as well-liked as the original. Though, previous Pixar sequels have been received with mixed feelings. Some are beloved, such as the Toy Story follow-ups, others not so much, as we've seen with Cars. At this time, it has never been confirmed that Brad Bird will actually return to direct The Incredibles 2, though it seems likely. Still, he made his live-action debut with Mission: Impossible Ghost Protocol and continues with Tomorrowland, and may not want to return to devote so much time to an animated project, content with providing the story and serving as a producer while someone else jumps behind the helm.